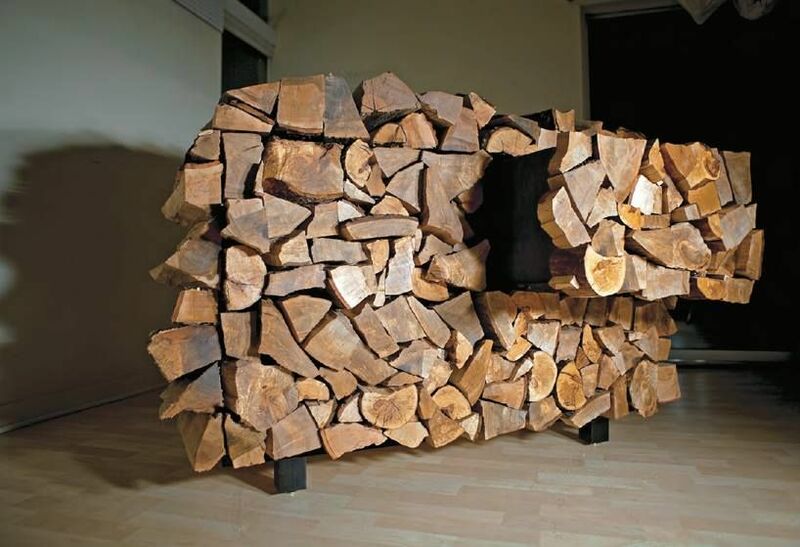 There are so many things to do with log ends, that is seems a shame to put them all in the walls. Here are a few photos of what you can do with your left-over log ends. Most of these you will have to be reverse-engineered (that is, look at the visual and use the “discovery approach” to figure out how to build it). Those of you who figure out a good, simple way, please share. 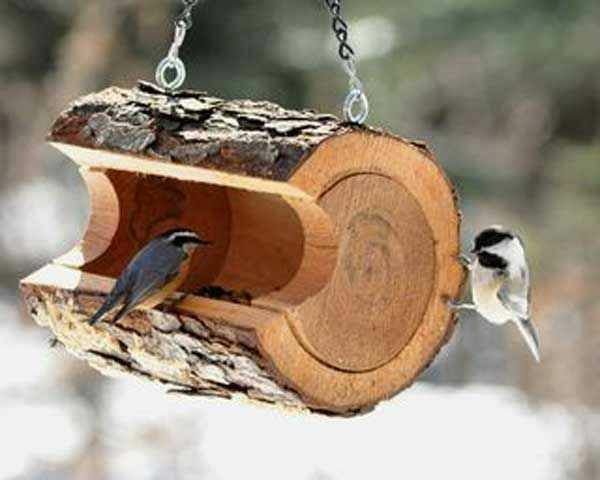 This bird feeder is very good looking. Most of my friends say a 12″ band saw will do the proper cuts very quickly. The end slices will need to be re-joined to log with glue and screws. 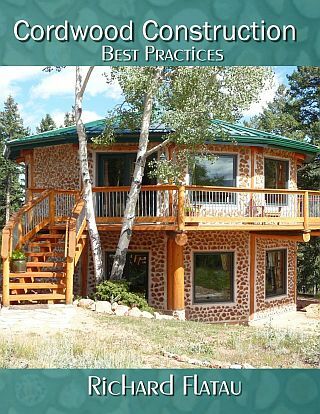 This chicken “coop de ville” has been cordwood sided (1″ log ends glued and screwed from behind) to make an attractive home for your flock. 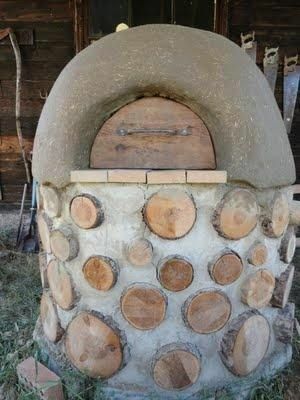 A cordwood cob oven looks like a good project. 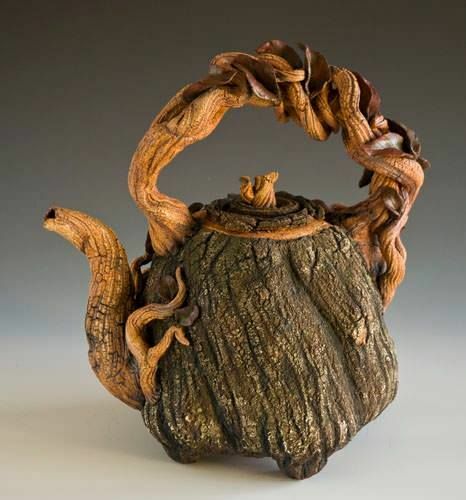 If you have some bark and roots, the possibilities are endless. Your faux wood pile could actually provide security for your valuable items. 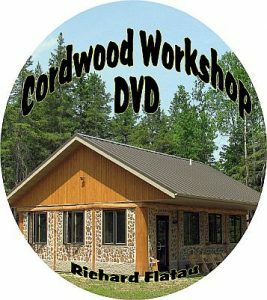 Cordwood coffee table and chairs would make interesting conversation pieces. 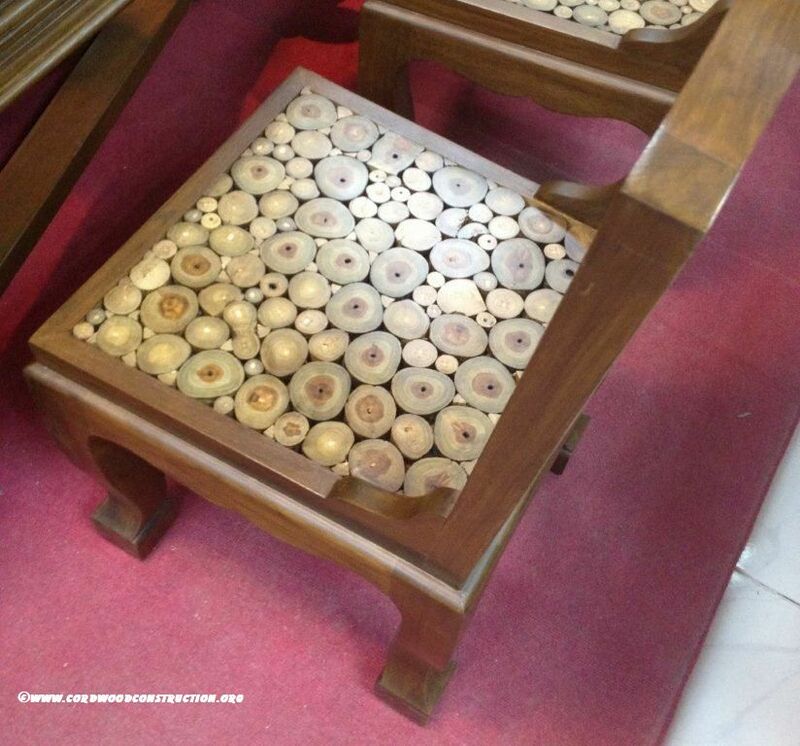 This cordwood chair was in the Royal Thailand Museum. 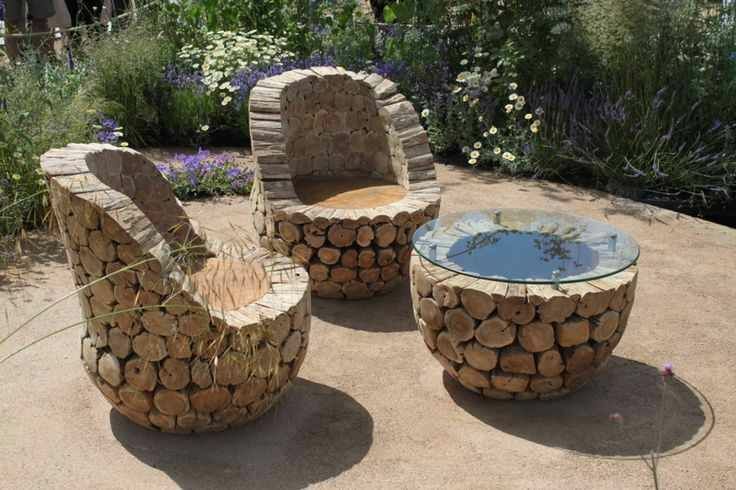 Log end lawn furniture for your garden parties! 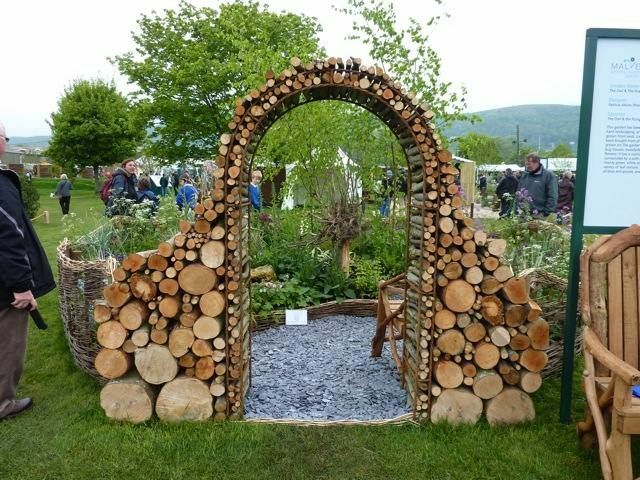 A cordwood arch for your garden would be a fine addition to most any garden. 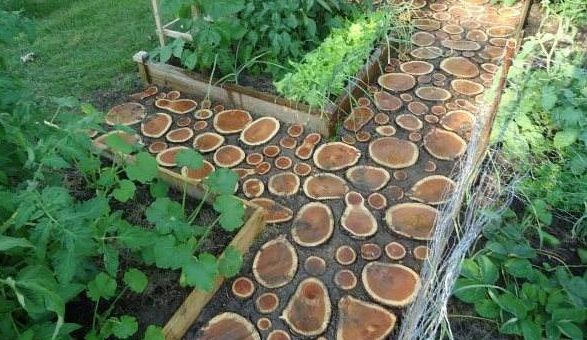 Walk through your garden on log end slices. And finally should you wish to keep your pets warm and toasty, try a cordwood shelter. To read the most current literature on cordwood construction, check out Cordwood Construction Best Practices. This most modern tome comes in ebook, CD and print edition. For additional pictures, articles, links, workshops, newsletter, etc.